Believing that “a growler fill in Bend means better craft beer fresh out of the tap, just as the brewmaster intended,” Gorilla Growlers growler fill station was installed as part of the Empire Car Wash located in northeast Bend. With 29 taps available in their fill-up and tasting room, they offer craft beer, hard cider, and Kombucha, poured fresh into 64 oz. growlers or 32 oz. “growlettes.” But don’t feel like you need to take your growler and go; pull up a stool and enjoy a frosty pint and friendly conversation. 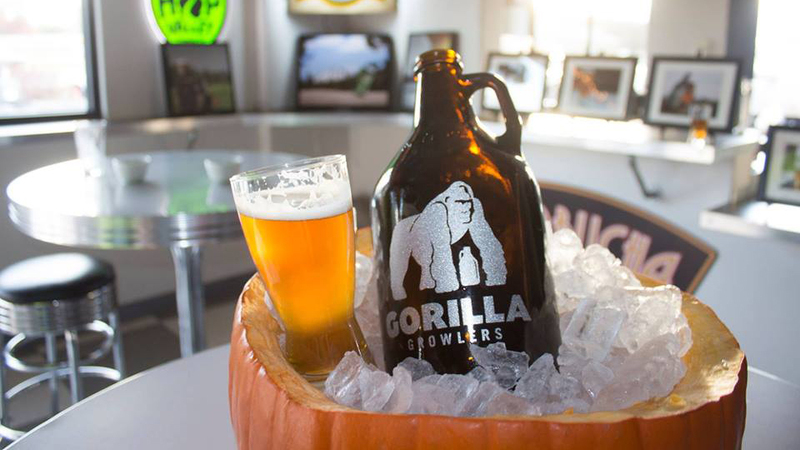 Gorilla Growlers features Central Oregon’s most popular brands of brew, such as Silver Moon Brewing, 10 Barrel Brewing, Altas Cider Company, Boneyard Beer, Deschutes Brewery, Ninkasi Brewery, GoodLife Brewing, Kombucha Mama, and more. This is also the only place we know of where you can get a Beer Wash—when you fill your growler with them seven times, you get a free car wash. Gorilla Growlers is open daily, but hours vary slightly each day so please check the web site for current information.